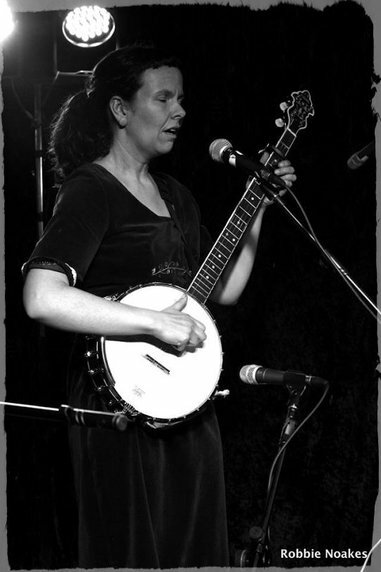 After 20 years of listening to Gillian Welch, The Yearlings, and plenty of obscure folk music, Cathy Burke decided to make the leap from cello to banjo and in the process has tapped into something deep-rooted and timeless. With original songs and a sparse style, Cathy’s music seems to hark from a bygone era, like a song floating through woods. Cathy will take you by the hand and lead you through the dappled sunlight to a strange but familiar place. 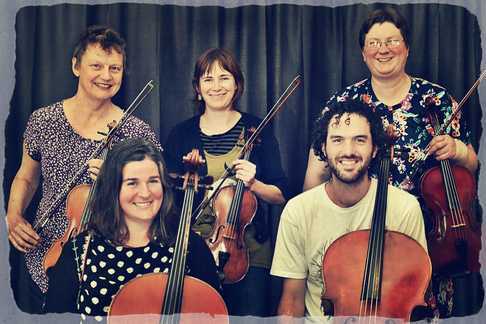 Castlemaine Chamber Players present their new program of dazzling original arrangements for strings and vocals. Sasha Bronshtein's warm songs with string accompaniment are like jewels, set in a rich soundscape of tango, Cuban and gypsy swing music. The Castlemaine Chamber Players, known for their explorations of both classical and contemporary music, comprise Sasha Bronshtein, Heather Cummins and Frances Gall on violin, Emma Wade on viola and Elisabeth Anderson on cello. 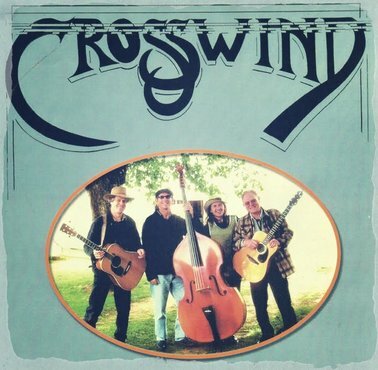 ​Crosswind, a 4 piece band, play an energetic variety of music. 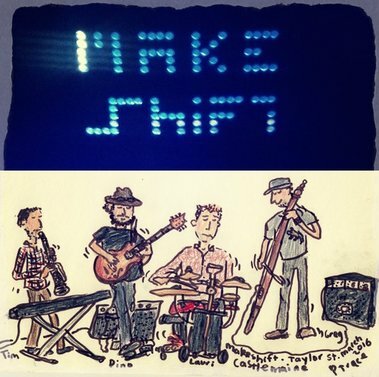 we share the vocals and four part harmonies are a feature. Dirtbird is the ethereal, mysterious musical project of Australian singer-songwriter David M. Lewis. Close harmonies, atmospheric brushes and drums, sparsely pulsing resonator guitar and slow, sad songs about mystical journeys and the end of the world are some of the elements which Lewis and fellow Dirtbird members Lisa Marmur and Glendon Blazely weave in and out of the organic quietness which has become the Dirtbird sound. “Haunting music from another world, another time. It makes me dream when I am awake.” – Robyn Chalklen (The Yearlings). 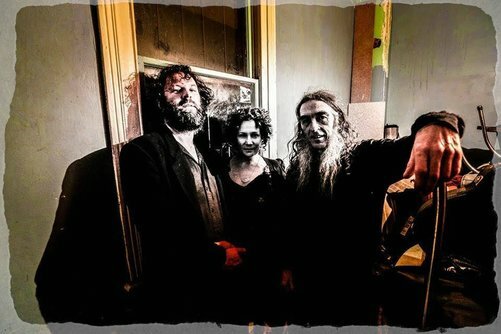 “A very unique sound on the Australian music scene…a classic roots-rock sound. Nice.” – Dan Buhaqiar, JJJ. 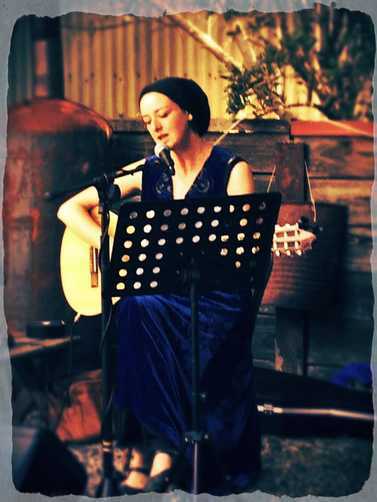 ​KESTRAL is a musician, songwriter and music teacher based in Castlemaine. His guitar and vocal styles are uniquely impressive, utilising harmonic singing and a complex percussive style of guitar playing. Within the orchestration of the starry expanse he found his soul to be one with all and set about to create a music which reflects and evokes the wonder of this situation, for individuality and universality are one through song. 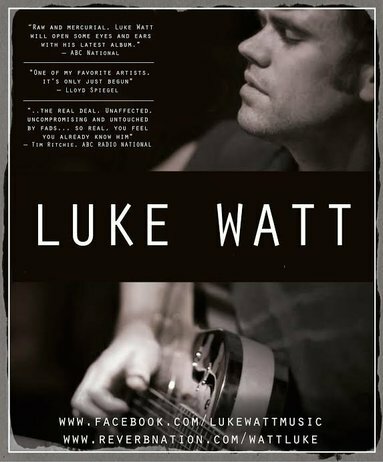 Described by ABC National as “Raw and mercurial, the real deal,” and by Lloyd Spiegel as “A master of his craft” folk/blues guitarist and songwriter Luke Watt is set to release his third album Wild Graces. Despite the experiences of touring his last album Hill End Ruin throughout Europe and the U.S in 2012/2013, Luke Watt’s new record is inspired by stories based much closer to home. Wild Graces is a collection of songs inspired by, written and recorded in his now home of Central Victoria. The record was then mixed by long-time collaborator Nick Huggins (Jen Cloher, Skipping Girl Vinegar, Whitley). After a serendipitous encounter in 2016, Mark (vocals) and Jude (keys) realised their combined emotional depth and breadth created a powerful musical energy - with swings from extreme emotional highs to heart-wrenching lows, as well as bizarre twists of humour. Their songs are taken from the American Songbook and are framed around the mythical and most public and wildly, passionate love affairs of the 50s.... More to be revealed.... or not!!! ​Accompanying herself on guitar and violin, Meg NightJar’s emotive voice melodically meanders through her original contemporary folk ballads, reminding one of the eternal place, the elusive center and the stories we create in its wobble. 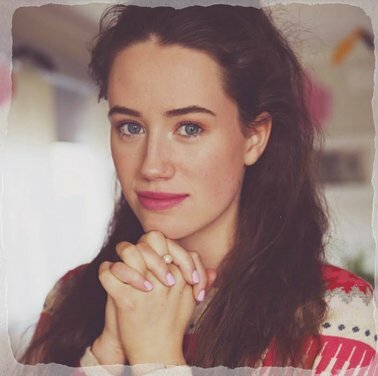 She has performed with her father Graham Dodsworth at Maldon Folk Festival and The National Folk Festival in Canberra, and also as a solo artist at Newstead Festival and other venues around Victoria. 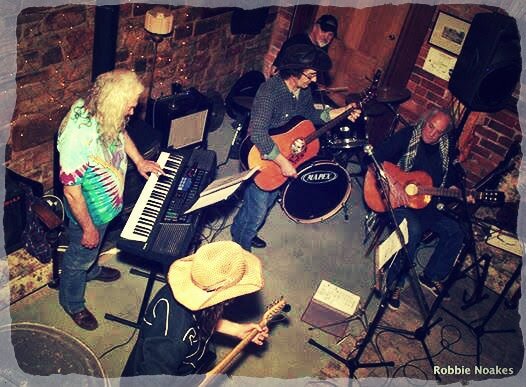 Formed in Castlemaine 2013, The New King Cols have played recent Fringe Festivals and local pubs and gigs including the Bridge, Railway and Red Hill Hotels, performing a mix of original music and covers from the Grateful Dead and other great tunes. These include New Speedway Boogie, Truckin’, Jack Straw and Cat Fish John. The New King Cols music is written to be in tune with our local culture with local references, making our music relevant to our community. Featuring: Ange Lawson, Colin Lemon, Rex Watts, Terry Byrne and Steve D'Avis. I’m Pete Bodin. I’m an award winning Castlemaine singer songwriter with 200 original songs in the treasure chest. I have a pretty distinctive baritone voice and I write songs about stuff that doesn’t get written about! From Scab Fairies and Baby Boomer Money to Dummy Spits and Plastic Islands in the oceans, nothing is out of bounds for song subjects and my treatment is quirky but heartfelt in rootsy –folk style. I predict that you’ll laugh and cry and dance; sometimes all in the same song! 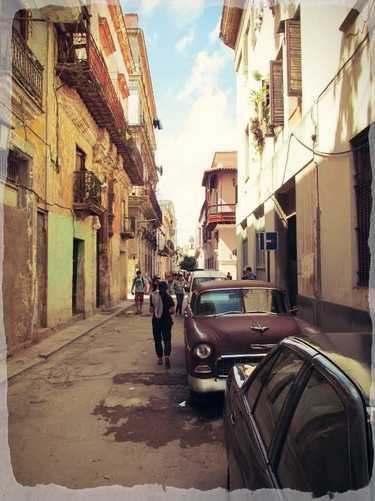 ​QUBA is a band that grew out of the Cuban Music emergence over the past few years in Castlemaine. The music is exciting and synonymous with Salsa and other dance styles. It is the music of passion and seduction. This music is for dancing. 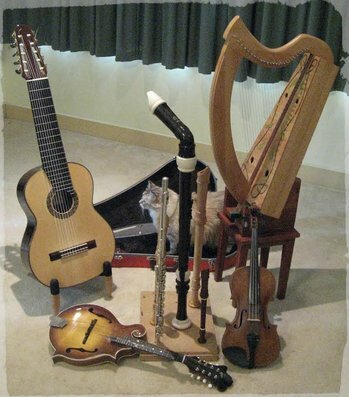 The band is made up of Percussion, Brass, Double Bass, Guitar, Trombone, Clarinet and Tres. The music will excite and thrill you. 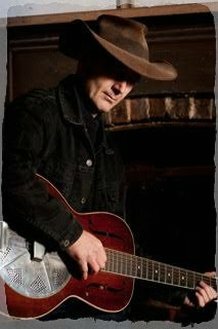 Rex Watts’ musical career has covered 30 years of country music, He’s a prolific songwriter, in-demand multi-instrumentalist and a mandolin maestro. Unashamedly Australian-both in his gentle demeanour and his musical sound, he is joined by his Hapless Brakemen. at festivals and venues,both here and in the USA since 1994. He concentrates on the early blues recording artists from 1927 to 1939, Charlie Patton, Robert Johnson and other greats. Skip has toured and performed with several well known overseas artists, such as David Lindley, Bob Brozman,and John Hammond. 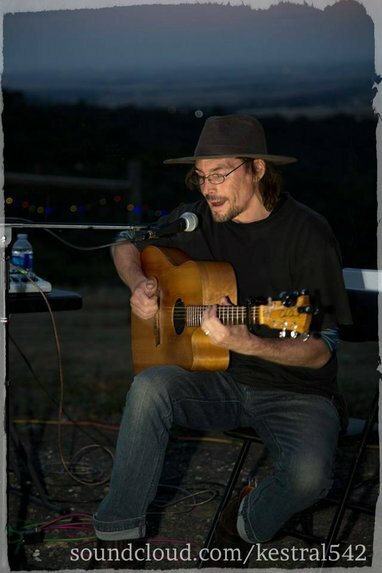 Steve D'Avis sings, plays guitar, saxophone, various drums and recites poetry. 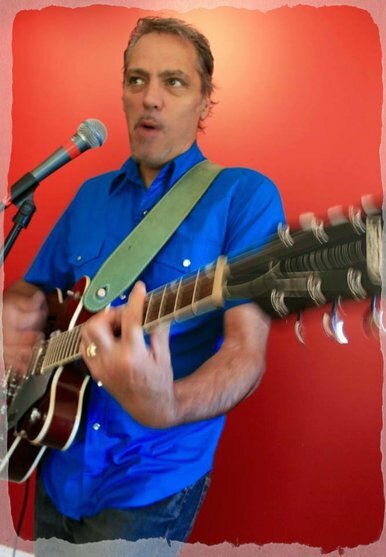 He has performed solo & band material at local venues; The Bridge, Five Flags, the Railway, The Red Hill Chewton & the Guildford Hotel among others. 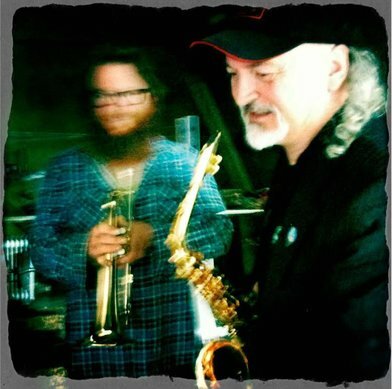 Steve’s most recent album “In Time With Love” combines songs, field sounds & saxophone playing. The lyrics to this album are contained in “The Green Book - Timed Poetry & Spaced Lyrics” a limited edition paperback that Steve has read from promoted at many poetry readings from Castlemaine to Woodend. Steve’s songwriting & playing moves within many genres bringing into focus questions of how we deal with change and what we can do to promote the connection & appreciation of what we have. Steve plays drums with the ‘New King Cols’, saxophone with ‘Noisy Fractals’ & sings whenever he can.